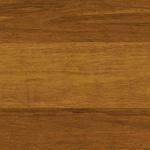 Strand Woven Solid Bamboo Flooring from Home Decorators Collection is favorable for its extreme hardness and durability. It's the perfect choice for residential use. 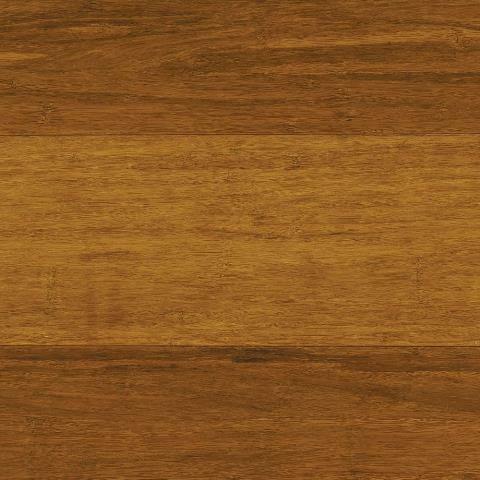 The prefinished flooring has a 7-layer aluminum oxide finish providing protection from everyday wear. This product has achieved GREENGUARD Indoor Air Quality Certification and has been tested for more than 10,000 volatile organic compounds, including formaldehyde, to meet these standards. The tongue-and-groove profile allows straightforward installation on or above grade. The exotic-style flooring is perfect for modern, traditional and transitional interiors. An existing home should have a consistent room temperature of 65F - 75F and relative humidity (RH) of 40% - 55%. Continual deviation from these conditions will affect the dimensions of flooring (see installation guide for more details).